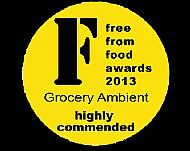 highly commended in the Grogery Ambient / Store Cupboard Category at the prestigious FreeFrom Food Awards 2013 on 16th April. Hebridean Seaweed & Lemon dressing/marinade/drizzle was one of over 340 products that were entered for the FreeFrom Food Awards, a record 37% increase on last year! We are delighted to be involved in the Freefrom Food awards awards in London later this year. The FreeFrom Food Awards have been instrumental in driving new product development and improving the quality and choice of freefrom foods that are available. 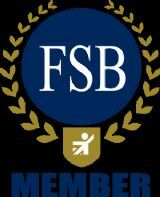 These are supported by Antony Worrall Thompson who says, of the awards, "I have been involved with the FreeFrom Food Awards from the start and am really delighted at the way they have grown. FreeFrom is becoming such an important part of food-thinking for all of us these days that it is important to have a reliable, independent guide to freefrom excellence – and the awards provide just that". Freefrom foods are gluten-free, wheat-free, dairy-free, egg-free and nut-free products.